My mum came home with this little gem from a local charity store yesterday, where she helps out once a week. It looks pretty plain and simple (but it was only £8!) so I wanted to add more attitude to it. Not only do you save a lot of money and recycle but most importantly, I love charity shops just because of the nature behind them. I'm helping someone, somewhere. So here's what I did with it. Took me about 30 minutes. 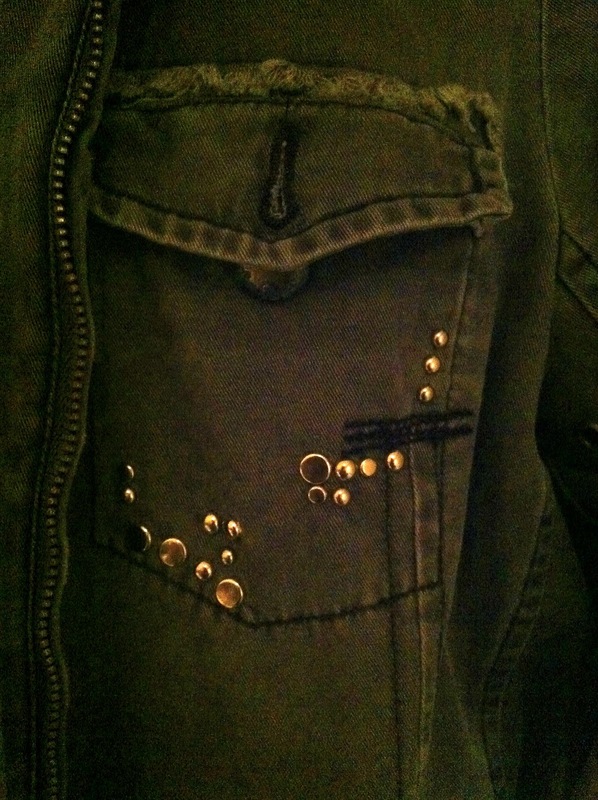 You just align the stud, push the prongs through and fold them over. 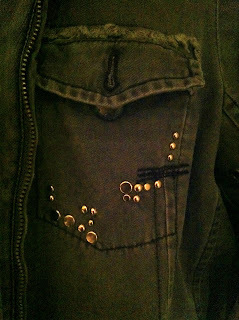 I'm thinking off adding more studs to fill the whole of the pockets, what do you think? A tanned belt just to add more definition to my waist. Friday the 5th of October is Jeans for Genes day - 'changing the world for children with genetic disorders' Put it in your diary and don't forget to go help out! 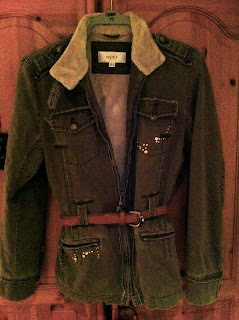 fabulous jacket find! So on trend! 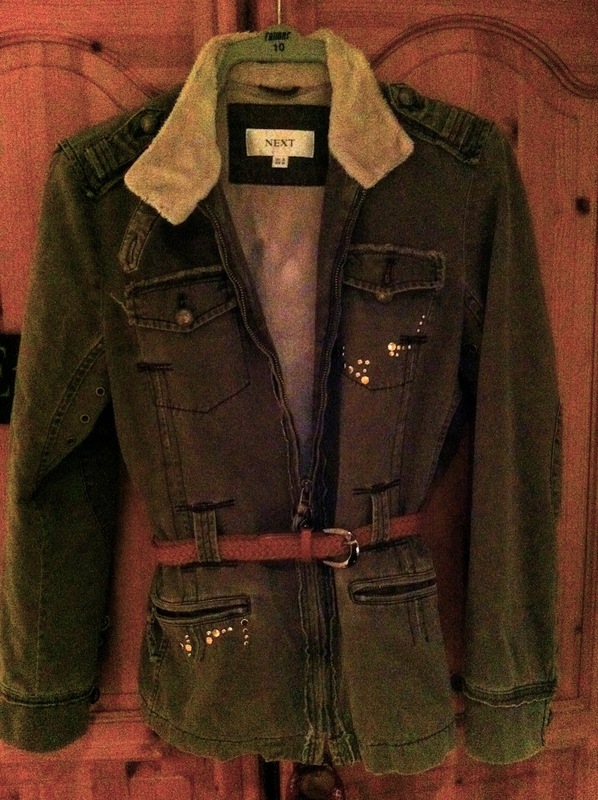 I have been on the hunt for the perfect military jacket! 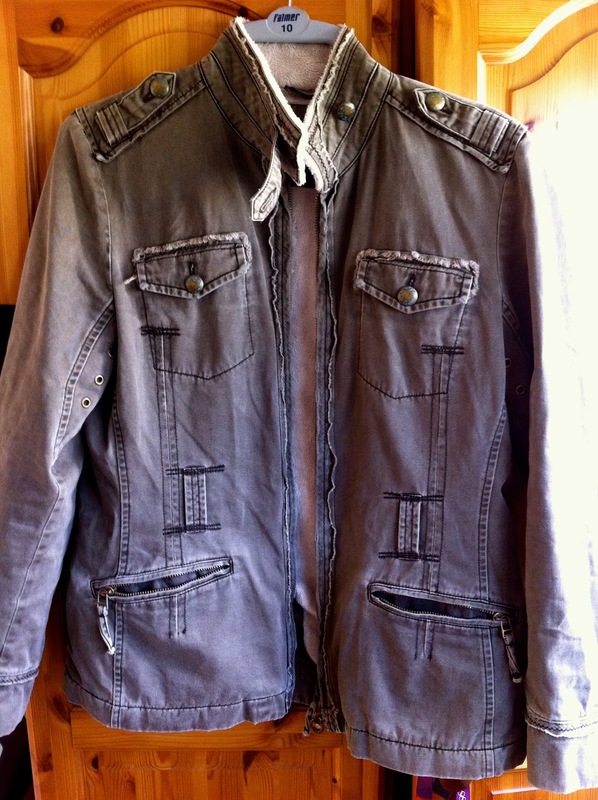 Also before primark, check out some charity shops, that way you will get a really cool vintage looking back and also hardly ANYONE will find that bag again! I've just found the perfect, vintage/indie shop so going to have a dig there! I'll definitely tweet you when its done! Sure I dont have GLC yet, so it's an email subscription! I'll pop over to your blog!